The day was spent hosting some of the most wonderful Bridal influencers on the Social Networking scene to date and therefore it had to be beautiful. Including the likes of Rosie Londoner, Josie Mumblr and Rosanna Falconer all who are getting married this year. The brief was simple: a wedding breakfast for 25 guests. It had to be modern and playful but, super Elegant and visually stunning. 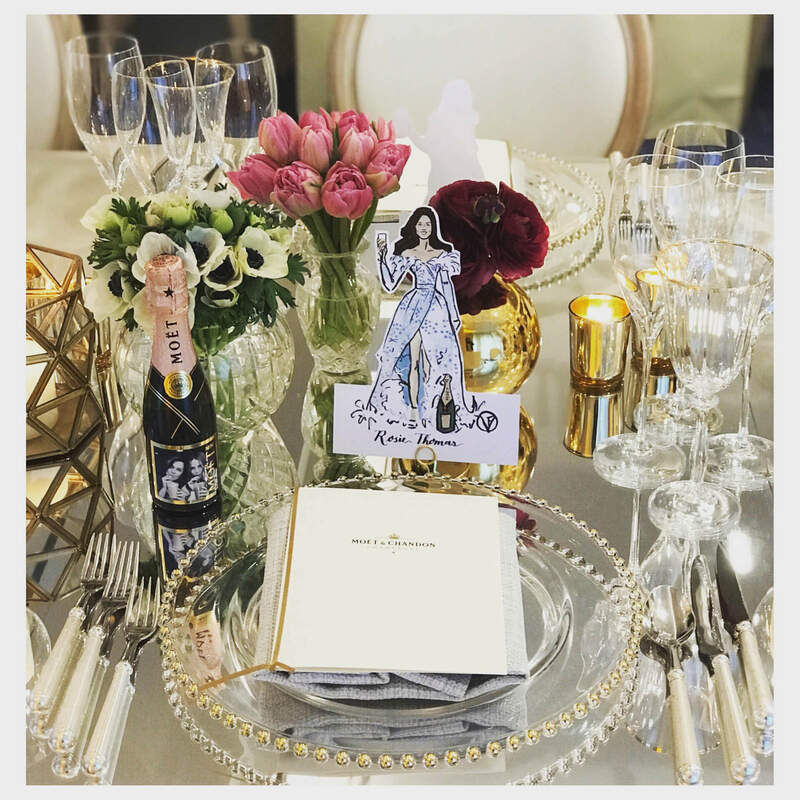 And, with the help of a wonderful team at Claridges Hotel, some special furniture pieces and the gorgeous florists at Rob Van Helden we set the ball in motion working on our designs. Personalised touches for our guests were by the hugely talented Victoria Fitzroy whom made her incredible bespoke place names. 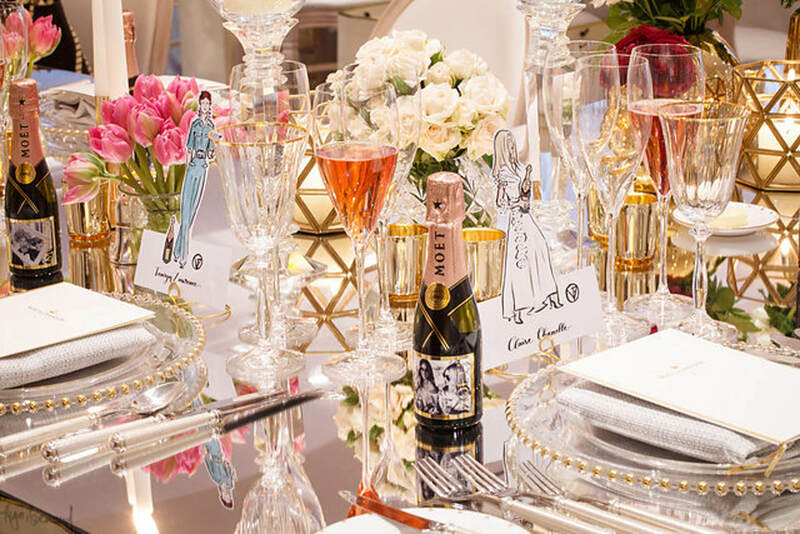 Her designs are individually sketched per person and are always greeted with a bit of a wow-factor and gives your guests something unique to take home to remember the event by. 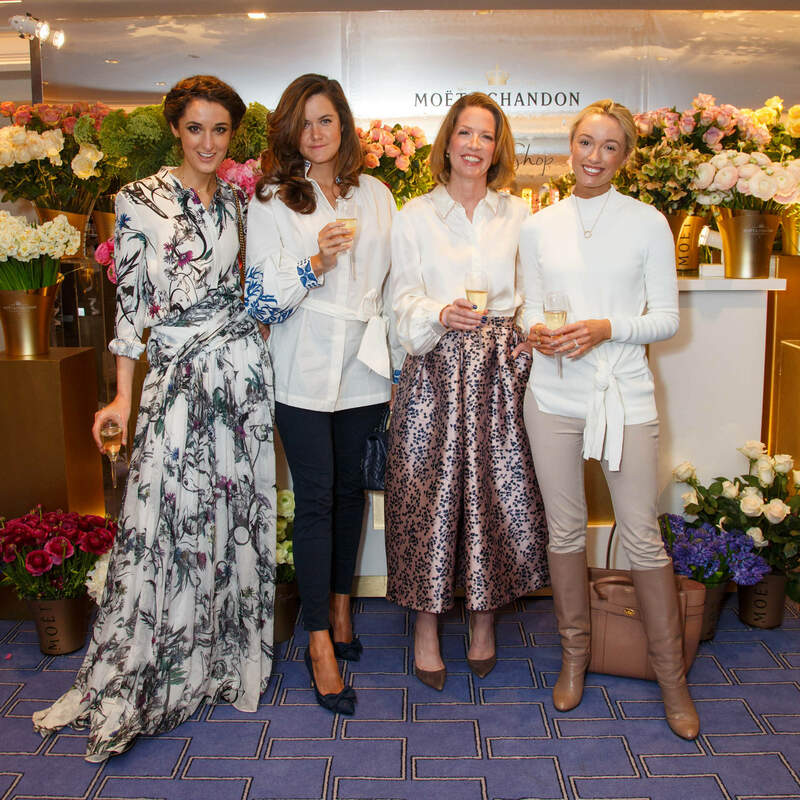 Guests were greeted with delicious Moët & Chandon Impérial to go with their hot and cold canapes on entering the room. Many immediately darted over to the fantastic flower stall we designed with the help of the wonderful team at Rob van Helden. Each guest could make their own beautiful bouquet to take home. 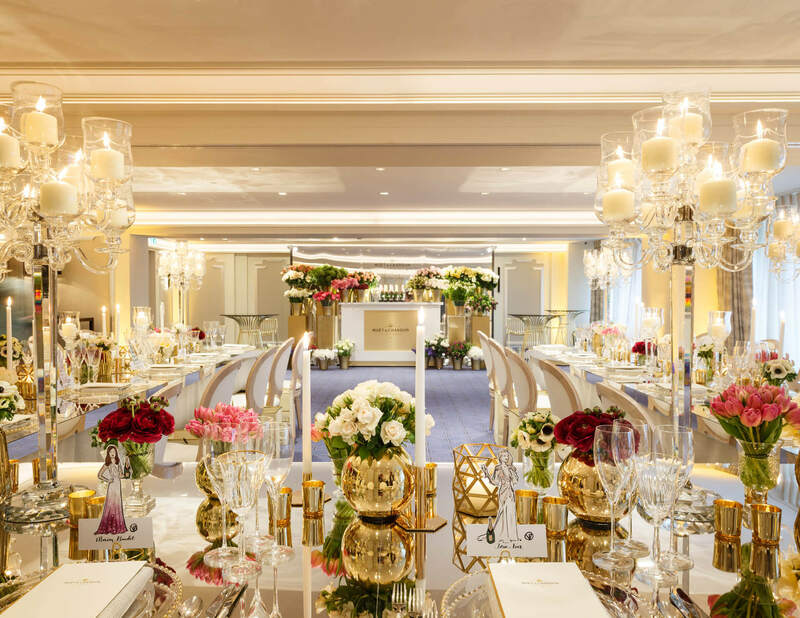 The flowers really made the room shine and it’s something that we as event stylists really enjoy as part of the process whether it be simple or completely bursting with blooms they can really transform a room or, a table for any event. 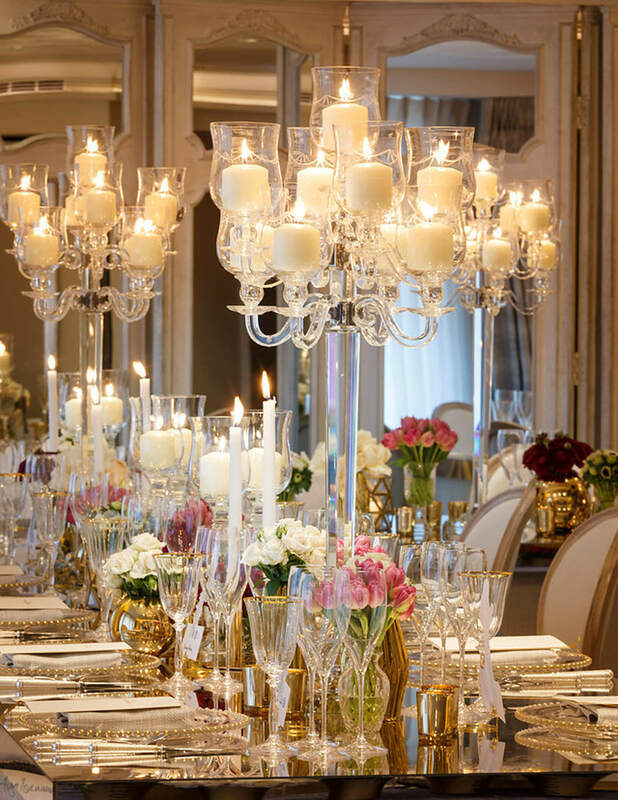 We stuck with romantic colours to keep with the wedding vibe of the lunch whilst keeping with the Moet & Chandon branding. 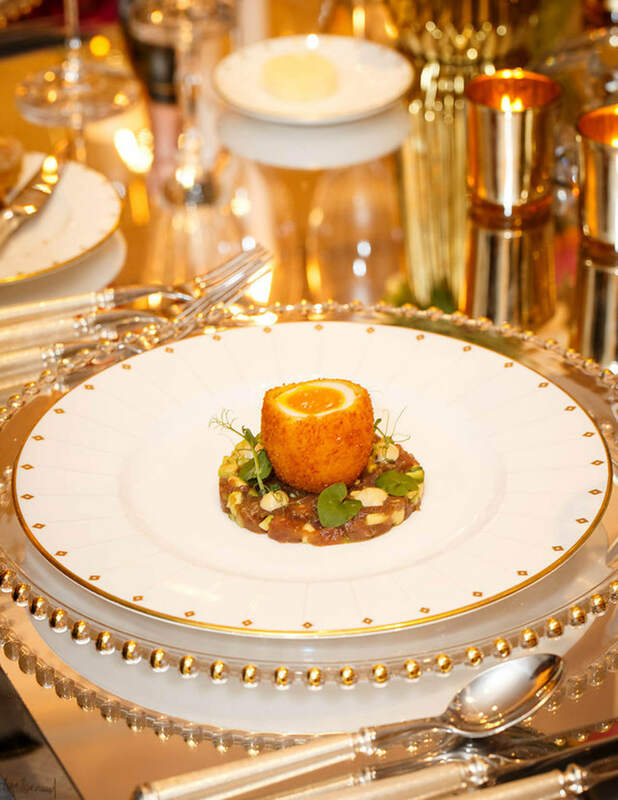 Claridges served: Starter (tuna tartare), main (halibut) and pudding (poached pear) were presented exquisitely and again, matched with more of Moët & Chandon’s bubbles! !